I have nothing to offer on this thread. The second grouping in both lists I am not familiar with at all. I do hope Chiasson actually becomes a better player. I understand he isn't truly a Spezza replacement, but I expected him to at least be, you know, visibile out there. I can't recall a damn thing he did all season. I hope they let Chiasson go, but that'd mean Murray admitting he got fleeced in the Spezza trade. Tough pill to swallow. Prince, Wideman, and Schneider all got 50+ points each in Bingo this year. I dont know much about them other than that. It is my understanding that Chiason is an NHL ready prospect. With his poor play this season, I would think Ottawa could sign him to a 2-3 year deal at a decent price. Give him a chance to grow into an NHL player, and then if worse comes to worse, as you approach the deadline in the 2nd year, you could likely include him in a trade depending on his value at the time. Well I always hope its an "eat my words" situation....but his effort level was just not there. I guess if they can get him cheap to see what happens then thatd be fine, I suppose his trade value is very low. This was only his second full year in the NHL. But then when you compare him to the likes of Pageau, Cici, and Lazar, you're left scratching your head of just exactly what will become of him. I think the last thing Ottawa would want to do is give up on him, and then he excels as a "late bloomer". Or it could be a case of bad early development in Dallas. Maybe Pageau and Hoffman were not as they were this year between their first and second years as pros. So Murray will remain as GM next year while delegating more responsibilities to others. I like this approach, I don't believe it would be wise to make such a significant change given the current circumstances where the team is currently at and after having made a coaching change. Hopefully, for Murray's sake, his health doesn't decline. I wonder if Alfie will be groomed for some sort of position within the front office or upper management. He certainly looked comfortable sitting in the GM box. That was my thought as well. I believe when Murray first announced his diagnosis he advised that the plan was he would remain as GM throughout the year and have a future GM shadow him. I wonder if following Alfie's retirement, they revisited that plan and determined it was best to allow the season play out and revisit at that point . Alfie certainly didn't seem to be in a hurry to make any decision at that point regarding his future. I found it odd that we had heard nothing about any rumblings as to a future GM all season, which though I also took as good news as to Murray's health. Murray has taken a beating from fans with regards to how the team has been built in recent years. Though I am hopeful that they can build off of this season and we can finally start seeing his plan come to fruition. So we got O'Conner, and apparently contract talks are being held with Hammond..IF Hammond re-signs..who's out? I would go with Lehner, but then again, everybody will be crying should he be let go and he proves himself as a No. 1 goalie. I have not liked what I have seen from Lehner since day one, add to that he has a temper which comes out easily. I wonder if he has the mental strength to keep his own confidence when the going gets tough. He has had a number of opportunities each season to claim the No. 1 spot, but each year Anderson has had to resume the position following a return from injury. The only concern I have for Anderson is his injury, and how bizarre his injures tend to be. But with that in mind, I can't see a situation where he isn't the perfect fit to keep stability in the net while O'Connor and/or Hammond refine their games. As for Hammond, I truly hope his improvement in the NHL compared to what he failed to do in the AHL is the direct result of benefiting from having a goaltending coach. He didn't just "come out of nowhere", but rather he was with the Ottawa Senators for 3 weeks I believe prior to Lehner getting injured, and during that time he likely soaked in as much as he possibly could to improve his own game. If this is the case, rather than him benefiting from a rather large horseshoe, I am optimistic as to his success. As for this O'Connor kid, seems to have a good head on his shoulders. I know nothing of him. And frankly, I am surprised Ottawa was successful in signing him given the interest around the league. Apparently he attended a Senators development camp a few years back but went undrafted. He was promised zero NHL time but also that they would do everything they can to help him develop. Which is what he wanted from a team. He is fully aware that he's AHL bound next year to develop. He is slated to be the starter in Bingo. That was one heck of a game Rangers vs Caps yesterday, lundquist was a sick puppy in nets. I am rooting for Rangers now. Of the 4 teams left I don't have any like or dislike for any of them. Nobody to root for and nobody to root against. It's not that interesting for me now but hopefully some good hockey. I am cheering for the Lightning, purely for the fact that they did Ottawa fans a "solid" by eliminating the dirty Habs... Yes, we were their motivation, it had nothing to do with the fact they wanted to stay in the playoffs! As for the West, going for the Ducks on this one. 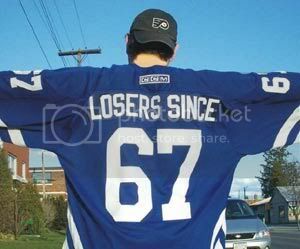 I know a few Hawks fans and they annoy me with their confidence. And the fun begins! Ottawa signs Hammond to 3 year deal.